As you may know, I have been waiting to run a marathon for a LONG time. I have signed up for a couple but when it came race time, I would have zero confidence in myself and my training and come race day I wouldn't follow through. So knowing myself too well, I knew if I even wanted to complete a marathon I would need more of a purpose to run, not just to fulfill a goal of mine, but running for a purpose bigger than me and running with other people that had the same purpose. So in comes Team in Training (TNT). Most of you have probably heard of TNT before or have seen their famous purple shirts running around your city. They are an amazing organization that brings together people that train for endurance races while raising significant amounts of money to make a difference in the lives of cancer patients and their families. The Leukemia and Lymphoma Society's Team in Training has raised over $1.2 billion to fund lifesaving cancer research! 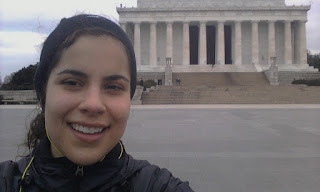 As a member of TNT, I will have the exciting opportunity for 3 months of group training to complete the Rock-n-Roll Washington DC Marathon on March 17th. I had my first long run this morning and I am already convinced that my training for this race will be much different from other races that I have trained for by myself. Not only do I get to run with other people that have the same goals as I do, but there we have a group of motivated coaches, support from families and friends and an overall camaraderie that will surely be needed when the runs become long and the weather gets colder. Our long run today was 8 miles and while it was certainly cold outside, you soon forget the numbness in your limbs and enjoy the conversation and laughter of your fellow runners. So I am committed to training with this great group of people and putting in the time and distance to run my first marathon this spring in Washington DC. Of course, in order for me to do that, I will need YOUR help! You can help me by donating to my fundraising efforts for the Leukemia & Lymphoma Society. 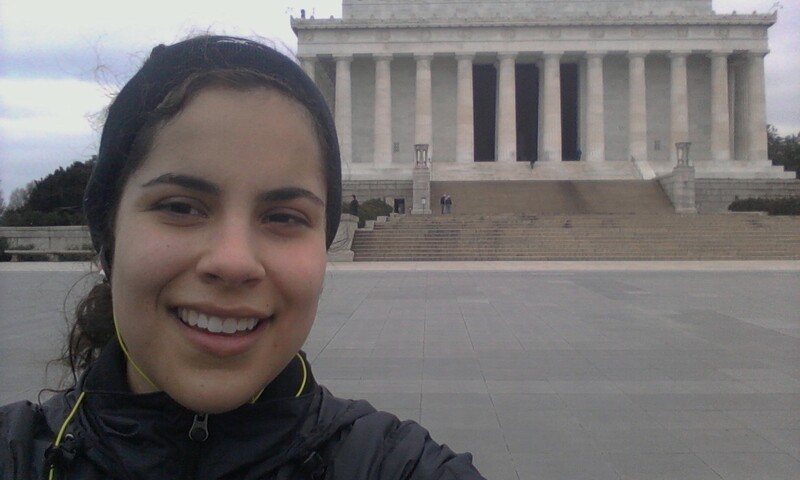 Any amount, $1, $10, $100....would help me reach my fundraising goals which allows me to run with my other teammates on March 17th in the Rock'n'Roll DC Marathon! And more importantly, your donations go to a great organization that is making a real difference in the lives of cancer patients. How can you donate? CLICK HERE or copy and paste this link into your browser. At this page, you can securely donate plus learn more about my progress toward my financial goal! You will receive a confirmation of your donation by email and I will be notified as soon as you make your donation. Each donation helps accelerate finding a cure for leukemia, lymphoma and myeloma. Nearly 958,000 Americans are battling these blood cancers. I am hoping that my participation in Team In Training will help bring them hope and support. I will blogging about my training here and on my donation page. So check back often to see how my training is going and how I am feeling leading up to race day. I need you to keep me accountable to my commitment and will need your support! I have never run more than 13 miles, so 26.2 will be a challenge! As my family, friends, colleagues, friend of friends, I am excited to take you along this journey with me. And if you feel so inclined, sign up to run with me! There is still time to train! If you are not runner, but still want to participate, schedule a much needed trip to DC and come out to cheer me on! It will certainly be a celebration for all that are involved! I can even offer you free lodging! In the season of giving, please make your donation today! THANK YOU!